If you build it they won’t come. 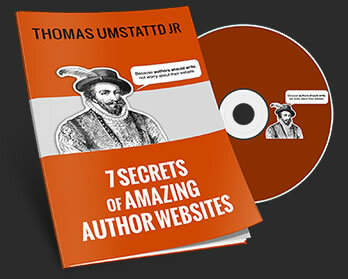 The only way to get people to visit your author website is to give them something they are looking for. But what is that? This article summarizes research done by the Codex Group about what readers want from author websites. 43% of respondents to the Codex Group Survey want exclusive online content. This is an untapped goldmine. Provide special goodies exclusively on your site and watch your visits blast off. Give them fun stuff they would be willing to pay for. MP3’s, short stories, whole books. Go crazy. Also, Google likes exclusive content so this gives you and SEO boost too. Here are 10 fiction website content ideas to consider for your website. Seth Godin gives more stuff away for free on his blog than most other authors. He also sells more books than most other authors. He gives stuff away on his blog only to his blog readers. He has no “goodies” page. 36% want speaking schedules, book signings, and appearances. This is really true, particularly for guys. Posting your speaking schedule can also increase your appeal as a speaker. If event planners know you bring your own crowd they will be willing to pay you more. An easy way to keep a speaking schedule is with the MySpeakingEvents WordPress plugin. 36% want to see recommended books; “explainers,” or inside information about the book. This is also a great way to make a little extra money on the side since amazon will give you a commission on any book sales you refer using their affiliate program. Garr Reynolds does book recommendations well. He doesn’t just recommend a book, he explains the gist of the book visually. He also has a list of recommended books along the right side of his site. The MyBookTable plugin is a great way to recommend books. Learn what readers want from your website. – Click to tweet. Authors, readers want to know what YOU are reading. – Click to tweet. Are you making it easy for your readers to connect with you? – Click to tweet. Discover what readers really want. – Click to tweet. 33% of respondents said they want weekly e-mail news bulletins with updates on tours, reviews, and books in progress. An easy way to keep your readers up to date on your book news is with the MyBookProgress WordPress Plugin. Let your website visitors feel like they are on the “in crowd”; they get to know about stuff first and get special perks by visiting your website. Nothing is more frustrating for readers than to dig up an author’s website only to not be able to contact that author. Setup an email address just for getting reader feedback. The practice of corresponding with readers is centuries old. C.S. Lewis used to spend hours hand-writing responses to his readers’ letters. If he can do that, the least you can do is give people your email. As Rob Eagar says, “Don’t Play Hide & Seek with Your Readers“. Are you on Facebook, LinkedIn or Twitter? Make sure to include buttons so that your readers can connect to you on those networks. People don’t want to see piles of text when they come to your site. They don’t want to read a welcome letter. They also don’t want to see that snapshot your husband took of you in the back yard. You don’t need photos of you necessarily but you need photos of something. Use photos that relate to your topic. Here are 11 places to get free (and legal) photos. Get some professional photos of yourself. Remember, nothing says amateur like an ugly author picture. If you have questions about what makes up a good author website, sign up for a free website consultation from Author Media. What do you like to find on author websites?